“You need a credit card to avail of our promo fare.” - this is the explanation of the AirPhilippines call center representative when I asked them why I can't book for their 888-peso promo flight. This answer made me feel frustrated and caused me to book online at Cebu Pacific airline. My beloved ask me to help her book a flight from Iloilo to Davao last month. She specifically told me that I book the cheapest flight that I could find because her budget is limited. The flight is for her parents (and my future in laws), who are now going home for their short vacation from Iloilo. Following her instructions strictly, I searched for cheap flights from all the budget airlines in the Philippines. I am fortunate to find an 888-peso promo fare from AirPhilippines, which prompted me to book through the AirPhilippines website. Everything is OK until I reached the “Payment Options” page where I discovered that the only available payment option is through credit card. The bad thing is that I don't have a credit card because I avoid having one. I called the AirPhilippines hotline to book the 888-peso promo flight. The call center representative told me that I am not allowed to reserve for 888-peso promo fare. Only the regular (and more expensive) fares are the only available ones available for those who doesn't have credit cards. AirPhilippines promo fares are not open for the general public. I believe that this is the reason why AirPhilippines lags behind Cebu Pacific. AirPhilippines promo fares are only available to credit card users while Cebu Pacific promo fares can be availed by anyone. Cebu Pacific allows anyone to book their cheapest fares and still give them the chance to pay through credit card or payment centers like LBC and Banco de Oro. 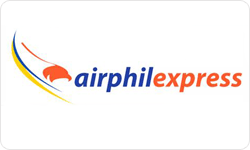 It is understandable that AirPhilippines is reducing the risk of unpaid booking reservations for its promo fares. This is the possible reason why they only allow credit card users to avail the AirPhilippines promo fares. This is good protection for the airline but it causes frustrated clients like me to book flights in Cebu Pacific. Visit Before the Eastern Sunset and read about Eng Ho mamon cake. It's not fair when you can't avail of the same promo fair just because you don't have a credit card. I find Cebu Pacific to have more options with regards to their payment scheme. But I will never fly with this airline again. I found your blog in the hopes of finding other people with the same problem due to a cancellation that has jeopardized our entire trip to Hong Kong. And just like you, I'll book with Cebu Pacific next time even if I need to shell out some more cash. Let me guess. Did AirPhilippines told you that your flight is cancelled because of "airport traffic"? I guess this is the common excuse that the local airlines are giving when their flights are cancelled or delayed. Their excuse is valid because NAIA can't large volume of air traffic considering that it is the country's premier international airport. I think, however, that the airlines should also be blamed. They increased the number of their flights even if they know that some of those might be cancelled due to "air traffic". You are not alone Izzy. Many Filipinos and foreign tourists are disappointed with the local airlines and airports. Thank you for taking the time to visit my blog although it's empty. I just needed an avenue where to write my sentiments and vent out my frustration. You are right, it's a sad reality that I am just one of the many affected by how frequent our budget carriers cancel flights with common reasons as airport traffic and aircraft operational requirements. We got the latter reason. I am really skeptical because they cancel and merge flights so easily. I don't think I will ever be attracted to their budget fares anymore. This is a very stressful and upsetting learning experience. I am yet to experience the problem that you encountered with AirPhilippines. I dread the day. We can only hope and demand that things will get better with our local airlines. We are their customers and it is their duty to give us quality service.